Join us during Montréal's Nuit Blanche 2019 as McGill comes alive at night! 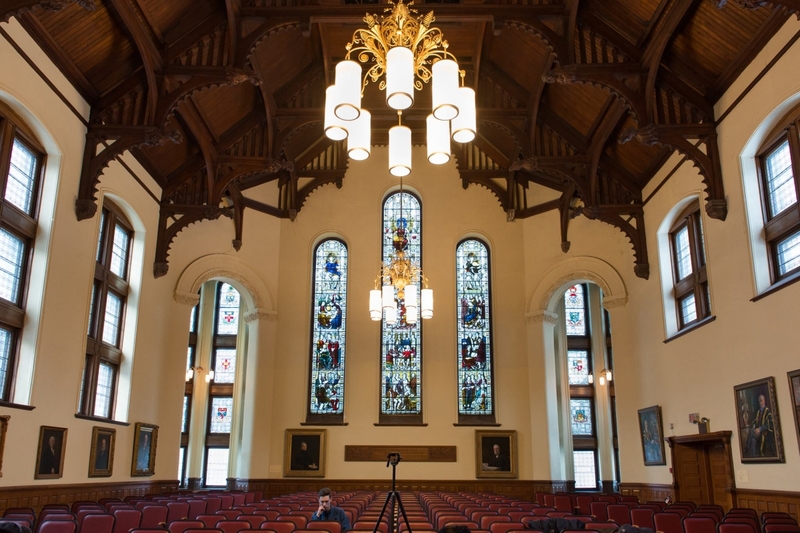 Enjoy free flashlight tours of the art and architecture in Redpath* Hall, a renowned 19th century building, and one of the oldest at McGill, followed by a live musical performance. Choose from one of four tours and performances (in English or French) throughout the night. Saturday, March 2nd, during Nuit Blanche à Montréal 2019. Each tour and performance accommodates 30 visitors and will last approximately 1 hour. The tours are free, but registration is required. McGill's Downtown Campus. Our meeting point is at the famed Roddick Gates, 853 Sherbrooke St. Ouest, corner McGill College. You will be escorted to Redpath* Hall by your tour guide. *This event is separate from and not to be confused with the event at the Redpath Museum during Nuit Blanche 2019. Presented in part with the McGill Visual Arts Collection, a member of the McGill Library.